So you’ve never gardened, but you want to eat organic produce. Well, this is the book for you! Improve your health and save time and money by eating fresh veggies and fruit from your own back yard. Feel better about your footprint on the environment! Who knows what is sprayed on all that commercial produce at the grocery store. 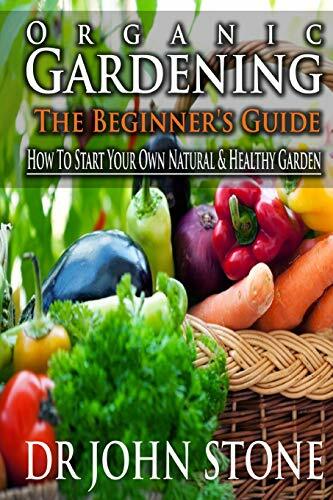 If you’re looking for a better way, this simple book will teach you how to do it yourself. Together, we’ll cover such topics as: -Deciding where your garden should be located -Gardening supplies & equipment -Preparing your soil -Selecting the right plants & seeds -Your first planting -Watering -How to maintain your garden -Harvesting what you've sown And as an add bonus -How to make your own miniature greenhouse at very little cost -How to make your own pest control spray You’ll be on your way to enjoying fresh organic produce from your own home in no time!